Reginald Smith has traveled all around the world with his saxophone performing music for various events. He has uncovered the secrets to sound like a professional and wants to share them with YOU! 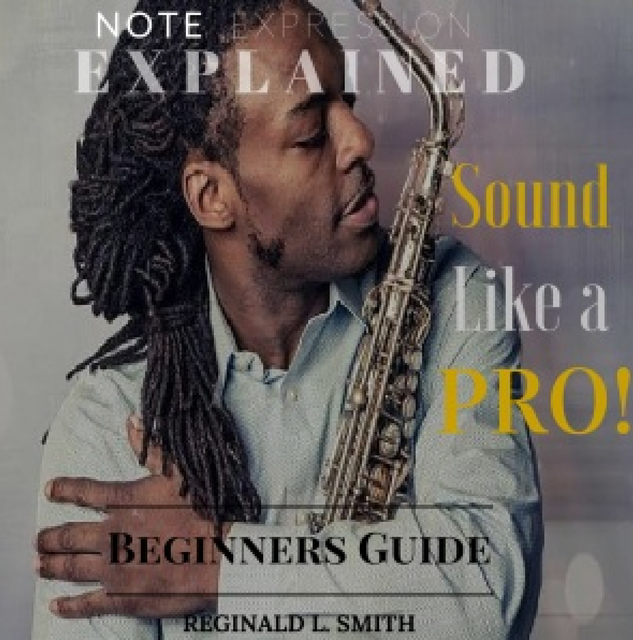 In this short and to-the-point instructional guide, Reginald gives you the tools necessary to sound like a true professional regardless of musical preference. This instructional guide will help prepare you for the stage.
. . . So what are you waiting for? Get ready to Sound Like a PRO! Reginald Smith Jr. A world traveler performing music profesionally for over 20 years. He has a unique explosive sound that's full of passion which has captivated audiences around the world. As a master saxophonist in various types of Jazz, Latin, Blues, Gospel Rock! Reggie discovered an easier way to practice. After his discovery Reginald wrote made an ebook. Note Expression Explained Reginald teaches at Louisiana Academy Of Performing Arts where he focuses on developing better ways on how the student understands music and how to create there own voice in music. He has tought music privately for over 17 years with students that range from the ages of 7 to 74. Mr.Smith loves to make music fun and easy for people to learn by presenting quick but thorough instuctions out of his ebook that allows you to practice with understanding and play with confidance. Reggie plays currently with the 1 Cover and Wedding band in Louisana "The Phunkey Monkeys" See him in class or stage live!